After nightfall on 21st September 1989, Rajasingam Master called on his bicycle at my mother’s home quite unexpectedly and delivered his pithy message, “Rajini has been shot.” His voice showed no evident emotion. After a brief exchange of words, he turned back. That was the man; stoic, incorruptible, who lived by his strong sense of duty. Master, his wife Mahila Acca, and their daughters, Nirmala, Rajini, Sumathy and Vasuki were familiar to us from childhood days in the St. James’ Church choir. Had Master been more ambitious during his university days, he would have left his mark as an outstanding mathematician in our university. 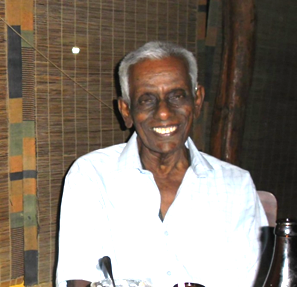 What he did as a school master at Hartley and Jaffna College was no less important. His zeal for catching hold of students who seemed to be in need of inspiration and getting them to work Mathematics problems remained a passion with him to the end of his life. As a man called upon to manage church and school finances, he remained sharp and knew well the foibles of those he worked with. Having stuck on in Jaffna through times that saw the worst of moral and physical turpitude, he saw through people and their hypocrisy and opportunism, but kept things to himself. At best a wry smile might have escaped him. Whenever he undertook a commitment, he carried it through to the end and brooked no interference. As a trade union man, not only did he take up the cases of three teachers dismissed from St. John’s College in the late 1960s, against strong pressure from the Church, but did the impossible in ferreting out the money to meet the legal fees, using his knowledge of miscellaneous accounts. Bonhoeffer, a prisoner of the Nazi regime, was thinking of recovery of quality in a post fascist society, the kind of society we are in now. A dominant feature of loss of quality is puruda – a word close to chicanery and farce, whose meaning in Tamil has been enriched through association with Tamil life and society during especially the fascist period (1986 – 2010), particularly when reverence was demanded under threat for the horrific and ridiculous. The Rajasingams were sticklers for quality and the ability of a society to lift itself back to quality depends on the presence of families strongly rooted in it. Rajini was killed because she would not compromise with puruda in politics that claimed the divine right to purify the ‘nation’ through murder. The war being over, farce has assumed the dominant role in puruda. Why do our leaders who had the best of education and held responsible public office, feel impelled to praise the LTTE leader as a great man of genius and commitment, who failed to liberate the Tamils only because of traitors in our midst? Why not tell the truth that the ‘genocide’ at Mullivaykkal owed as much to the missiles of the Sri Lankan forces as to senior Tamil leaders lying to the world that the people held hostage by the LTTE were staying with them of their own free will and devotion? Why do these bankrupts lie about Thileepan who, under the watchful eye of the Leader’s men, thirsted to an excruciating death, as showing most nobly the Gandhian way of Ahimsa; when many ordinary members of the public who witnessed the event spontaneously exclaimed, ‘They killed him’? These lies, splashed over the media and given credit by rhetoric from the University, on anniversaries given meaning in monolithically staked out Tiger propaganda, are just the tip of the iceberg, barely masking the intolerance and rowdyism spreading through society. It is in this climate of bankruptcy, where no thought is given to how the Tamils would get out of the mess they are in, that Tamil nationalism is being further divisively transformed to Hindu nationalism. The dead lose all meaning except as numbers bandied before the UN by Tamil nationalists to vilify the Sinhalese, while ignoring the pertinent context. The Tigers were truthful in that to them the death of civilians in large numbers was a religious sacrifice, where large numbers would hasten the birth of Tamil Eelam. Nothing is said about the thousands of unnamed children, mainly oppressed caste, conscripted and forced into battle with scant training. It is this that adds greater poignancy to the dead whom it is sacrilegious to even name – these were the thousands abducted by the LTTE, tortured and killed in their dungeons or taken in trucks into deep jungle and shot en masse. These were dissidents whom the Tigers believed were a mortal threat to their death-dealing politics. On the 11th of this month, for the first time in Jaffna, an observance for such a person was held and a memorial volume was launched in the Public Library canteen, for Vivekananthan, a political prisoner killed by the LTTE more than twenty years ago. A contributor recorded: On 23rd July 1983, the first day of our plague, the Leader and his fellows sent by fate to remove the thorn from our side, exploded a device, fired a few rounds, vanished with lightning speed and surfaced in Tamil Nadu. The writer, rudely woken up, came out with his year-old daughter clutching his sarong. The thought flashed in his mind, the long night of unbearable torment for the Tamil people has begun. The next day the Army came to a nearby area, called fifty men out of their homes, and shot them dead. The episode repeated itself serially countless times. The thorn remained. The contributor, a Marxist, did a turn in an LTTE prison and remained in Jaffna without losing his sense of humour or his sense of reality. Like Rajasingam Master, he had a keen eye for puruda and laughed at the place hunting by leading elements of our society dazzled by the Emperor’s New Clothes, who, unfazed, repeated their act when emperors changed. A number of us here are Christians. We were taught to respect the sacrifices of the missionaries who came here, the witness of our forebears in the faith and the words of the scripture that offer us healing and redemption. We are going to face challenging times and we are unprepared, while around us puruda is dominant, bringing ruin on our civic life and educational heritage. Too many of our church leaders lost themselves in the Emperor’s puruda and poured scorn on Tamil dissidents and did not utter a word of sympathy for the Emperor’s victims and pretended that he was Moses leading us to the promised land. What were they doing when they were commanded in St. Paul’s letter to the Hebrews, “Remember them that are in bonds, as bound with them; [and] them which suffer adversity, as being yourselves also in the body”? We have a civic duty to stand up for the dead, especially those murdered in the call of duty doing what they felt was best for society. 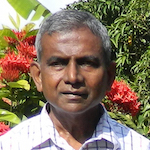 The thirtieth anniversary of the murder by the LTTE of St. John’s College Principal C.E. 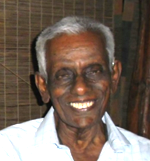 Anandarajan fell in 2015. The family was anxious to have a memorial event. St. John’s College should have been fully behind them. But the College merely gave Peto Hall. A few friends of the family had to take the burden of organisation, putting up posters and banners, print and distribute leaflets. Many more would have attended the event had the school put its weight behind it. Rajini was a member of Jaffna’s Christian society killed by the LTTE for answering the call of her civic duty. The 25th anniversary of her murder fell in 2014. Twice Jaffna University tried to thwart the observance of her memory and I am now convinced would do all the institution could to suppress her memory. I expected a more sympathetic response from the mission schools, given that her parents are respected members of mission circles. I personally went to the offices of St. John’s, Chundikuli Girls’ College and Uduvil Girls’ College and left invitations for the event. Rajini and her mother were prominent old girls of Chudikuli and the mother had actively helped the school during the war years. Mrs. Jeyaveerasingam, the principal in 1989, had been forthcoming in holding a remembrance for Rajini, the month she was killed. Participation from these schools for the 25th anniversary event was scant. It seems to me that the Christian community is overwhelmed by the puruda coming from the higher levels of society and function as though Big Brother is still watching them, or is it a hangover from times when leading churchmen flirted with the LTTE or became too big for their shoes harbouring large illusions of peacemaking? The Christian mission is to contribute to the health of the entire community: A little leaven leaveneth the whole lump (Galatians 5). That is why the missionaries came here. They made Jaffna an educated society. The Tamils, nor the Christian community, any longer deserve the appellation ‘educated community’. Our standards are such that a person does not become educated by obtaining any number of certificates from our universities. The book collections of some of our older professors, like the late Professor Selvadurai Mahalingam, show the wide variety of interests of an exceptional person – the true cosmopolitan – who would have been repelled by any trace of fascism. It is a reminder that true education comes through our own endeavour, firstly by and reading widely, which takes the effort of mastery of English. Our contacts and company could only inspire us. Jaffna College, which the missionaries founded as a tertiary institution, was the flagship of our education. Its present sorry state is not unconnected with the general trend to authoritarianism in mission institutions. Besides, the large migration of educated Christians has contributed much to it. It is not very productive to blame individuals. Alumni functioning from overseas and Colombo cannot make an appreciable impact. People need to come back, get involved, and overcome the resistance. They cannot come here as tourists (often to sell property). That would be a lie. They owe a great deal more to the land that made them and the people from among whom they sprang. The truth brought home to me is that the people of my generation who left their home and settled abroad have died in an intimate aspect of their being. They are in societies to which they sold their services, were well rewarded materially, but to which they cannot belong except in a peripheral sense. In time they become living corpses marking time till the end overtakes. The full lives which Rajasingam Master and Mahila Acca lived exemplarily cannot be theirs. Were Jaffna a society that looks for sources of excellence that could benefit the students, the University should have been in the lead setting standards of openness putting behind us closed and manipulated selection boards. But where mediocrity reigns, those in power look for reasons to run down and keep out persons with proven excellence. Quality demands responsibility and this is thrown to the winds when even university teachers, and others through them, are herded like cattle to support causes like Eluka (Rise) Tamil, a tired out rhetorical expression of Tamil grievances in the absence of any self-reflection. We seem to have learnt nothing. We seem set to repeat the politics of violence and intimidation that sent us down the slippery slope in the 1970s. In the name of the rights of the Tamil nation, the Tamil Peoples Council calls for the closure of businesses to ensure full participation in its Eluka mass rally. Those who don’t comply know what to expect. That was the road we took to justify terror. After all the community has been through, it becomes a cheap farce, a puruda in total irreverence of all the lives lost in vain. Restoration of quality in our lives also means a revival of educational excellence in Jaffna. I see no prospect other than for Jaffna College and other mission institutions to play the role originally intended by the founders. This would involve an unprecedented shake-up. That could only be done by committed persons coming back home and fighting it out. Rajasingam Master stands before us as one who laughed at puruda without becoming cynical, ready to sypathise with and help those in need, always willing to aid a good cause and hope for better times. Well, if someone gave me a dime each time this sort of Tamil “introspection” lead anywhere I’d me a millionaire. You do however ask a pertinent question. Why do seemingly well educated Tamils behave like savages? What makes anyone a savage? Its fear. Let me explain. See the ordinary Joe has ordinary fears over ordinary things like losing things, getting old, sick and dying. What many do not know is ones own consciousness play a key role in generating fears. The consciousness create a delusion called “I” which then is used to anchor the fear. The key to combating the fear is understanding how fickle “I” can be. When you begin to understand “I” is temporary fears dissolve. What makes the Tamils more fearful than the ordinary Joe? The donkey Tamil not only clings to self-consciousness they cling to caste consciousness and also more strongly to ethnic consciousness. So an ordinary Tamil clings to 3 things that he fears losing. The donkey Tamil is not wise enough to know all 3 are transient, temporary. The Tamils will gleefully kill and maim for something he was never was born with and something he does not take to his grave. That is why a village temple trained Sinhala Buddhist is wiser than an entire town of “educated” Tamils. Wisdom is taught to Sinhala people thanks to Dhamma. That is a level of wisdom a donkey Tamil can only dream about. Pardon me, “De Silva”, but it looks as though you’ve got a comment ready for some other article, and then, by mistake posted it here. I was glad to read this article about this nonagenarian who has fathered four daughters. I know one, Sumathy; please accept my sympathies. Now, should I be doing so on a public website? I guess not! I had just about decided that the youngest daughter, Vasuki must be the quiet, stay-at-home type, but googling I find that she has obtained a First Class in English from Peradeniya. Sumathy didn’t get a First (well, I remember she was heavily pregnant when she sat her final papers – I can’t remember the year: it was very difficult days for Tamils.). I didn’t get a First either, and I didn’t have those problems. Irrespective of what this article says the father of such children must have been remarkable. Now, De Silva, you can’t surely fault Dr Rajan Hoole for having spoken about such a man to an intimate audience in Jaffna. Is it that you fault him for having forwarded the text for people like me to read? I am most grateful that he did; I just can’t understand your objections. Tamil nationalism and Sinhala Buddhist nationalism are 2 sides of a coin. they are fascistic and retrograde as is the BBS Balu Senava in the SOuth. The whole education system of the country needs to be over hauled and a commitment made to celebrating diversity and Multiculturalism. Unfortunately the left and those who sprout economic rights have not idea that we need a new cosmopolitan cultural discourse and multiculturalism to support economic rights. It is indeed the Left that is most racist as a result. Beats my sense of logic. But the ultimate Tamil middle class reasoning is: no chance to attack the left should be spared. By “left” this man, “Don Stanley” probably means Wimal Weerawansa (note that I desist from calling him “Booruwansa” or similar things), Udaya Gamampila, and such like. Unfortunately, Vasudeva Nanayakkara, who certainly knows what “left” connotes has joined the racist bandwagon, determined to be in Parliament for a year or two more. Many a Sri Lankan is also naive enough to call all the Rajapaksa-connected racists also “the left”. How do we equip children with some rudimentary knowledge of politics before they are accepted as adults by society is the question. On what teacher can we place the responsibility of talking rationally on such matters? Jaffna and Ceylon Tamils are increasingly like the Tamil Nadu Tamils and subjects to and of the Tamil Dalit diaspora! Once upon a time Jaffna Tamils did not indulge is the absurd an myopic Tamil cultural Nationalist discourse that emanates from and is standard in educational institutions in Tamil Nadu where vainglorious Tamil cultural nationalism runs rabid, because the Indian State has managed to de fang the Tamil Nadu nationalists and displace their warped sensibilities towards Sri Lanka. The correct word, I think, is puluda, NOT puruda. Jaffna Tamils also “looked down” on Batticaloa Tamils. That is simply a ‘love to hate’ attitude. Like the English hate the scots and vice versa. Like Royalist hate the Thomians and vice versa. They actually need each other for self motivation. I have British and Scots comment such a ‘dislike’ is essential and they love it! The British loves Scots disliking them and vice versa and both have stressed it helps them without which they would go to ‘sleep’. Similar state with the Royal College boys and St. Thomas College boys and they love the ‘hate’ and both are happy the other ‘hates’ them. Same I wonder with Jaffna and Batticaloa Tamils and nothing more than that ‘competitive hate’! There’s no such word “puruda”! If there was something meant by it, by virtue of any audience worth its intellectual capacity, the word would be obsolete. It is always a pleasure and educative experience to read Rajan Hoole. Without the fear of contradiction, I might state his recording of crucial contemporary historical events are studied and respected as reliable and free of bias of all forms. The monumental work Arrogance of Power which, I believe, was very much his work is held in esteem by the academic community – in Sri Lanka and outside. Colombo Telegraph has done a great service to all of us by producing regular excerpts of this great politico-academic intellectual enterprise. The Jaffna soil, for decades and more, produced great men and women of learning by which the entire country benefited. To our eternal debt Rajan Hoole continues to enrich that tradition. Here’s to greater strength to his elbow. Thank you Dr Hoole. “The truth brought home to me is that the people of my generation who left their home and settled abroad have died in an intimate aspect of their being. They are in societies to which they sold their services, were well rewarded materially, but to which they cannot belong except in a peripheral sense. In time they become living corpses marking time till the end overtakes. The full lives which Rajasingam Master and Mahila Acca lived exemplarily cannot be theirs.”………….not sure how I could respond, but you have certainly hit the nail on the head. But don’t you think that this is precisely how human societies have evolved over time…..’migration’, ‘adaptation’, ‘acclamatisation’ and eventual ‘assimilation’- however sad the whole process is. In the mean time, it is equally important to point out that the hospitality, kindness and opportunities our adopted homes provided us is certainly what kept many of us – with strong opinions of the ‘Puluda’ you refer to, alive to read your wonderful writings. We therefore have a duty to respect and respond to the needs and imperatives of our adopted homes. That is referred to as ‘Senjottuk Kadan’ in Thamil literature. Mr CVV’s and Sivajilingam’s Thamil Hindu Nationalism and BBS’s Sinhala Buddhist nationalism are certainly two sides of the same coin and I for one am happy to condemn both with an equal sense of contempt, albeit from a distance. BTW, the infighting within several factions of the Christian/Anglican Church does not help the cause you are highlighting. This is certainly not confined to the schools in the NP as readers of CT will tell you. Recently, a lot of dirty ‘Anglican/Christian linen’ has been washed in public in the columns of CT – both in relation to Schools in Jaffna and beyond. Perhaps the loss of capable individuals from the Anglican communities due to mass migration (and the ‘Eluka Thamil’ mindset- Part 1) is responsible for this sorry state of affairs. One can feel sad and despondent or alternatively one can be philosophical and take the view ‘Palayana kalithalum puthiyana puhuthalum vazuwala” (The passing of ‘the old ways’ and the emergence of ‘new ways’ is not wrong). Good luck in all your efforts- past, present and future. We were taught to respect the sacrifices of the missionaries who came here, the witness of our forebears in the faith and the words of the scripture that offer us healing and redemption. Too many of our church leaders lost themselves in the Emperor’s puruda and poured scorn on Tamil dissidents and did not utter a word of sympathy for the Emperor’s victims and pretended that he was Moses leading us to the promised land. What were they doing when they were commanded in St. Paul’s letter to the Hebrews, “Remember them that are in bonds, as bound with them; [and] them which suffer adversity, as being yourselves also in the body”? THAT SAME FIGHT FOR “TAMIL” AND FIGHT FOR WAR CRIME INVESTIGATIONS. IS THIS WAY WAY they are goping to same promised lands that either the Egyptian – jews or Romans who ever were taken. It is good hear all this coming from a respected elderly educated Tamil gentleman ! We Sinhalese cannot say this as then we are branded as racists! Well done Prof Hoole! Thank you for expressing your view we Sinhalese agree totally with! I know that you don’t reply to comments but will try anyway. Can you give us any more information on the problems the mission institutions have? I have tried to find such information due to the crises at UGC but so far found very little online. Obviously the institutions don’t take their problems up online themselves. This must be one symptom of what Dr Rajan Hoole means with his “present sorry state” of Jaffna College. The funds from the USA are used to pay the salaries and nothing is left. Does anybody have more details on these institutions? For Rajan Hoole there was ONLY one problem in Srilanka. That is LTTE. He does not care how LTTE originated and who pushed the youth of Jaffna (who were known for hard work and education) to take up to arms. He does not care about the years of discrimination Tamil youth have suffered. Loss of jobs by “sinhala Only”, Loss of education opportunities by “standardization”. The multiple pogroms against Tamils, sponsored by government and Buddhist monks do not bother Rajan Hoole. His only song for the last 10 years is about LTTE. To him Srilanka would have been a bed of roses if not for LTTE. Have you not seen the myriad articles by Dr. Hoole serialized in Colombo Telegraph? They are broad and touch on many aspects of the problems the Tamils face. It looks like you see ONLY one problem in this world — Dr. Rajan Hoole. Ramesh, this is exactly true. Sri Lanka would have been a bed of roses if not for the ltte. Tamils live peacefully in colombo and own property, get employment and no one objects. All problems between the tamils and sinhalese are started by the tamils and when the problems escalate they then keep shouting genocide1 genocide! all with the idea of a separate state. All you tamil guys writing here where did you learn in Sri Lanka and only because of the free education. Who paid for the this the sri lankan government. Now vigneswaran does not want sinhalese in the north and east. Is that correct. How about the tamils in colombo? Unfortunately, even the educated Hoole and you*(msd) have not understood this. 83 riots was a per-planned one by JR and the team, they were awaiting for an opportunity, if not for the bomb blast at Thinnaveli, JR would have created an opportunity to start the riots. How did the 1977 riots started, there were no LTTE at that time, reason JR brought in was a minor clash at the entrance to the carnival in Jaffna, when a civil clothed police man tried to enter without tickets. JR wanted this 77 riots as a distraction, to manage the opposition in the south, with this he silently brought in the 78 constitution. For the same reason he brought in the 83 riots, oppress Tamils, while distracting south and take his political moves without any opposition. Riots were organized in 81, 82 in the up country as well. Racism, favoritism, biases will be there in any society or country. And people in any society are not sacred to think and act beyond these. That is why they bring in LAWS to protect individuals and their rights. Getting to know each other better, learning each others languages will not help much, as a human when there is an opportunity to be bias or favor someone, or some group or a race, anyone will do it. Only LAWS will work. For example, why do they have the minimum wages law, because naturally, any employer would want to exploit the situation, and pay as low as possible to any employee, if not for this Minimum Wages Law was brought in. Racism, favoritism and biases exists not only in Sri Lanka, but all over the world. It is prevailing in the US, Canada and in Europe as well. But, in these countries the laws are there to protect individuals and their rights. People are protected to a very good extend from the ill effects of racism in these countries. Not only laws to protect and for being bias, but there should be laws to prosecute for not implementing the prevailing laws. Dear MSD, you must be on LSD or a derivative of it. You must have the intelligence to read and understand why every leader whether it is Srilankan or international accept that Tamils were discriminated. It is idiotic to deny that Sinhala Only policy deprived them of jobs and “Standardization”smashed their chances of university admissions.The original version of Standardization decreed that Tamils had to score more marks than Sinhalese and Muslims to qualify for university admission( Per Badiudin Mahmood ,Education Minister). This is the midwife that delivered the LTTE. Tamils are not against Sinhalese settling in North and East. We had several Sinhalese who did business like running bakeries in the 50s and 60s . What Tamils oppose is State sponsored Colonisation. Hopefully your thick cranium will absorb this difference. Free education was not provided by the Sinhalese, it was provided by the Tax Payer of all backgrounds. I agree with most of what you say, although I may say that once Prabhakaran proved to be monster he probably had to be destroyed. I’m NOT happy with the WAY it was finally done. Nor am I happy with the presence of so many soldiers in the North. In your earlier comment, however, you seem to imagine that Dr Rajan Hoole is is a simpleton who blames everything on the LTTE. No. He has placed a lot of blame on various things done by Sinhalese politicians (and some Tamil politicians). I personally think that President Maithripala Sirisena is doing all that he dares do. I don’t think that his main fear is the TNA; it is the Rajapaksas. Not everybody can speak as freely as old fellows like me!